The Geological Society of London, known commonly as the Geological Society, is a learned society based in the United Kingdom. It is the oldest national geological society in the world and the largest in Europe with more than 12,000 Fellows. Fellows are entitled to the postnominal FGS, over 2,000 of whom are Chartered Geologists (CGeol). The Society is a Registered Charity, No. 210161. It is also a member of the Science Council, and is licensed to award Chartered Scientist to qualifying members. Chemistry is the scientific discipline involved with elements and compounds composed of atoms, molecules and ions: their composition, structure, properties, behavior and the changes they undergo during a reaction with other substances. Mineralogy is a subject of geology specializing in the scientific study of the chemistry, crystal structure, and physical properties of minerals and mineralized artifacts. Specific studies within mineralogy include the processes of mineral origin and formation, classification of minerals, their geographical distribution, as well as their utilization. He was born at Warrington, Lancashire into a distinguished literary family of prominent Unitarians. The best known of these was his paternal aunt, Anna Letitia Barbauld, a woman of letters who wrote poetry and essays as well as early children's literature. His father, Dr John Aikin, was a medical doctor, historian, and author. His grandfather, also called John (1713–1780), was a Unitarian scholar and theological tutor, closely associated with Warrington Academy. His sister Lucy (1781–1864) was a historical writer. Their brother Charles was adopted by their famous aunt and brought up as their cousin. Lancashire is a ceremonial county in North West England. The administrative centre is Preston. The county has a population of 1,449,300 and an area of 1,189 square miles (3,080 km2). People from Lancashire are known as Lancastrians. Unitarianism is a Christian theological movement named for its belief that the God in Christianity is one person, as opposed to the Trinity which in many other branches of Christianity defines God as three persons in one being: the Father, Son, and Holy Spirit. Unitarian Christians, therefore, believe that Jesus was inspired by God in his moral teachings, and he is a savior, but he was not a deity or God incarnate. Unitarianism does not constitute one single Christian denomination, but rather refers to a collection of both extant and extinct Christian groups, whether historically related to each other or not, which share a common theological concept of the oneness nature of God. 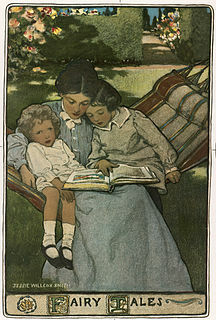 Children's literature or juvenile literature includes stories, books, magazines, and poems that are enjoyed by children. Modern children's literature is classified in two different ways: genre or the intended age of the reader. Arthur Aikin studied chemistry under Joseph Priestley in the New College at Hackney, and gave attention to the practical applications of the science. In early life he was a Unitarian minister for a short time. Aikin lectured on chemistry at Guy's Hospital for thirty-two years. He became the President of the British Mineralogical Society in 1801 for five years up until 1806 when the Society merged with the Askesian Society. From 1803 to 1808 he was editor of the Annual Review . In 1805 Aiken also became a Proprietor of the London Institution, which was officially founded in 1806. He was one of the founders of the Geological Society of London in 1807 and was its honorary secretary in 1812–1817. He also gave lectures in 1813 and 1814. He contributed papers on the Wrekin and the Shropshire coalfield, among others, to the transactions of that society. His Manual of Mineralogy was published in 1814. Later he became the paid Secretary of the Society of Arts and later was elected as a Fellow. He was founder of the Chemical Society of London in 1841, being its first Treasurer and, between 1843 and 1845, second President. Joseph Priestley was an 18th-century English Separatist theologian, natural philosopher, chemist, innovative grammarian, multi-subject educator, and liberal political theorist who published over 150 works. He has historically been credited with the discovery of oxygen, having isolated it in its gaseous state, although Carl Wilhelm Scheele and Antoine Lavoisier also have strong claims to the discovery. The New College at Hackney was a dissenting academy set up in Hackney, at that time a village on the outskirts of London, by Unitarians. It was in existence from 1786 to 1796. The writer William Hazlitt was among its pupils, sent aged 15 to prepare for the Unitarian ministry, and some of the best-known Dissenting intellectuals spent time on its staff. The General Assembly of Unitarian and Free Christian Churches is the umbrella organisation for Unitarian, Free Christians and other liberal religious congregations in the United Kingdom and Ireland. It was formed in 1928, with denominational roots going back to the Great Ejection of 1662. Its headquarters building is Essex Hall in central London, on the site of the first avowedly Unitarian chapel in England, set up in 1774. In order to support himself, outside of his work with the British Mineralogical Society, the London Institution and the Geological Society, Aiken worked as a writer, translator and lecturer to the public and to medical students at Guy's Hospital. His writing and journalism were useful for publicising foreign scientific news to the wider British public. He was also a member of the Linnean Society and in 1820 joined the Institution of Civil Engineers. 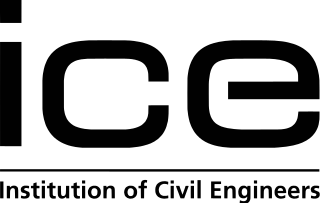 The Institution of Civil Engineers (ICE) is an independent professional association for civil engineers and a charitable body in the United Kingdom. Based in London, ICE has over 92,000 members, of whom three quarters are located in the UK, while the rest are located in more than 150 other countries. The ICE aims to support the civil engineering profession by offering professional qualification, promoting education, maintaining professional ethics, and liaising with industry, academia and government. Under its commercial arm, it delivers training, recruitment, publishing and contract services. As a professional body, ICE aims to support and promote professional learning, managing professional ethics and safeguarding the status of engineers, and representing the interests of the profession in dealings with government, etc. It sets standards for membership of the body; works with industry and academia to progress engineering standards and advises on education and training curricula. Hoxton is an area of East London, part of the London Borough of Hackney, England. Together with the rest of Shoreditch, it is often described as part of the East End, the historic core of wider East London. Hoxton lies immediately north of the City of London financial district, forming the western part of Shoreditch; being part of the Ancient Parish and subsequent Metropolitan Borough of Shoreditch, prior to its incorporation into the London Borough of Hackney. A Dictionary of Chemistry and Mineralogy (with his brother C. R. Aikin), 2 vols. (London, 1807, 1814). For Rees's Cyclopædia he wrote articles about Chemistry, Geology and Mineralogy, but the topics are not known. Rees's Cyclopædia, in full The Cyclopædia; or, Universal Dictionary of Arts, Sciences, and Literature was an important 19th-century British encyclopædia edited by Rev. Abraham Rees (1743–1825), a Presbyterian minister and scholar who had edited previous editions of Chambers's Cyclopædia. Lucy Aikin was an English historical writer, biographer and correspondent. She also published under the pseudonyms Mary Godolphin, I. F. M. and J. F. W. Her literature-minded family included her aunt Anna Laetitia Barbauld, a writer of poetry, essays and children's books. John Aikin was an English doctor and writer. The Chemical Society was formed in 1841 by 77 scientists as a result of increased interest in scientific matters. Chemist Robert Warington was the driving force behind its creation. Richard Phillips FRS FRSE FCS FGS, was a distinguished British chemist and became a fellow of the Royal Society in 1822. Azariah Cutting Flagg was an American newspaper printer and editor, and politician. Frank Wigglesworth Clarke of Boston, Massachusetts, and Washington, D.C. was an American scientist and chemist. Sometimes known as the "Father of Geochemistry," Clarke is credited with determining the composition of the Earth's crust. He was a founder of The American Chemical Society and served as its President, 1901. Thomas Allan of Lauriston FRS FRSE FSA FLS was a British mineralogist. Sir Arthur Edward Ian Montagu Russell, 6th Baronet, MBE, FRS, was a British mineralogist of the 20th century. He was a collector and a collector of collections. Joseph Henry Collins FGS,, mining engineer, mineralogist and geologist. Of Cornish descent, he was born in London. He died at his home, Crinnis House, near St Austell, on 12 April 1916 and is buried in Campdowns cemetery, Charlestown. James Apjohn was the Irish chemist known for the discovery of new minerals. William Haseldine Pepys FGS FRS FRS was an English scientist and founder of learned institutions who contributed significantly to the advancement of the chemical and physical sciences during the first half of the nineteenth century. John Simpson (1746–1812) was an English Unitarian minister and religious writer, known as a biblical critic. Some of his essays were very well known in the nineteenth century. Simpson was also known for his rejection of the literal existence of the devil, following on from writers like Arthur Ashley Sykes. John Aikin (1713–1780) was an English Unitarian scholar and theological tutor, closely associated with Warrington Academy, a prominent dissenting academy. Charles RochemontAikin (1775–1847) was an English doctor and chemist. Edmund Aikin was an English architect and writer on architecture. He spent the last years of his life in Liverpool, where he designed the Wellington Rooms. Anna Letitia Le Breton was an English author. Robert Warington FRS was an English chemist considered the driving force behind the creation of the world's first enduring chemistry society, The Chemical Society of London, which later became the Royal Society of Chemistry. Dr Robert Townson MD FRSE LLD (1762–1827) was an English natural historian and traveller, known also a mineralogist and medical man. In 1806 he emigrated to New South Wales. 1 2 3 4 Knight, David (2009). "Chemists get down to earth" (PDF). Geological Society. 317: 93–103. Bibcode:2009GSLSP.317...93K. doi:10.1144/SP317.3 . Retrieved 14 January 2015. ↑ "Arthur Aiken". Grace's Guide. Retrieved 14 January 2015. 1 2 3 One or more of the preceding sentences incorporates text from a publication now in the public domain : Chisholm, Hugh, ed. (1911). "Aikin, Arthur". Encyclopædia Britannica . 1 (11th ed.). Cambridge University Press. p. 437. Wikisource has the text of the 1885–1900 Dictionary of National Biography's article about Arthur Aikin .